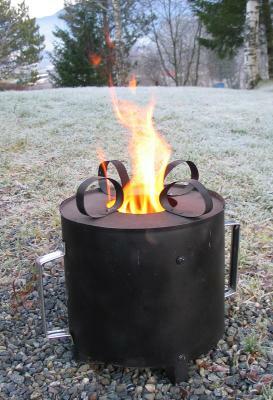 I just wanted to inform you that last weekend we had a mini "stovecamp" at Paal`s place, where a skilled metal designer from Haiti, now staying in Oslo, and a few people from our organisation, Miombo (www.miombo.no) was trained by Paal to make templates and a full size TLUD ND Peko Pe ( 5 litre). Me, personaly was testing different types of TLUD`s, from the size of less than one litre, including the "Kampala" model - 3 to 4 litres (1988-90), which I prefer to call it, to the latest one of 5 litre. All and everyone was operating perfectly with pellets and I was very impressed by the performance of the small ones too, and especially model "Kampala". The MUS 15 was also tested and seems to be very promissing and so easy to make! 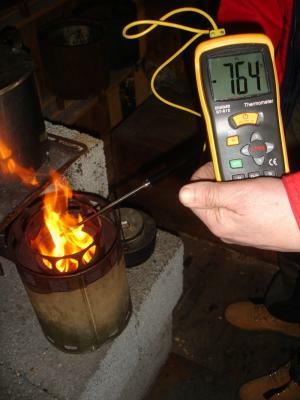 Efficient: easy to light, easy to handle, cooks quickly at high temperature. Flexible Covering all needs of energy for all types of household and institutional kitchen and other activities like take away food, bakery etc. The Energy Unit, single also called Peko Pe is designed to cover the general basic need for energy, but can be manufactured both smaller and bigger. 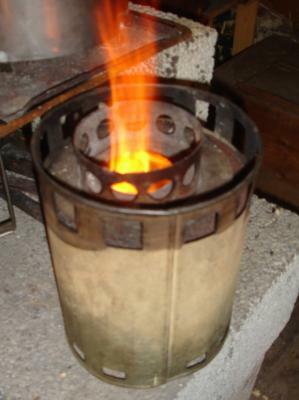 The combustion chamber is the heart of the system, and from there the heat will be consentrated up under the pot. 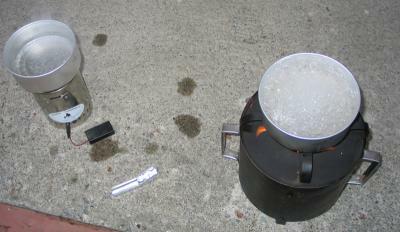 The Energy Unit can be used both for cooking and for heating. 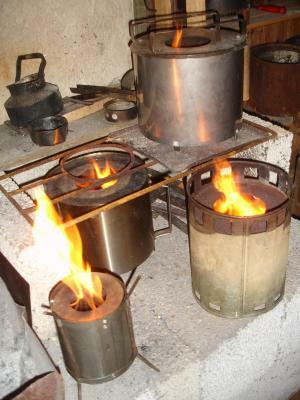 Single, as a cooking or heating stove, it will cover the basic needs of energy for smaller household. More units put together will cover the need of energy for bigger houshold, institutional kitchen and pots of any size. Any kind of dry combustible biomass can be used as fuel. It is New technology and requires some training, but it is Easy to use; Flexible; Fits all types of kitchen utensils; and transmits No heat to the sides.